Business sites can be developed by promoting with the SEO tools available online. They can also be promoted with the help of the social networking sites. Nowadays these are emerging as the most powerful weapon of promotion. Even mostly all the social networking sites provide the development of business, the most top 5 Social Networking sites that provide promotion of blogs or other business sites are as follows. 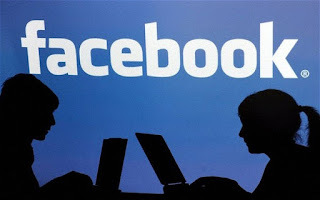 Facebook has been declared with the most maximum number of users online with 600 million 1 billion(updated) online users as of 2013. People are using facebook for mostly all their day to day purposes. All the brands have their facebook pages with most likes and shares all over the world. The most noted value is google indexes the facebook pages likes and shares and it shows in the search lists. With the proper and open use of the pages, the business can be promoted as a whole level. Bloggers see this as a very effective tool for blogging. It is the most efficient way of reaching people all over the world and thus helps for a wide promotion of business purposes. Twitter has been prominent all over the world. Twitter tweets are recursive. People tweet, retweet the posts and the posts are circulated with millions of users and a wide chance of getting promoted. The tweets make a serious change in the promotion of business as its been all over the world viral. Once you follow someone in twitter, you will be able to read all the tweets in your homepage. Twitter allows to promote your business with all the sources in you site with its plugins. Twitter is vast emerging with those innate qualities and it will be a great help to your business if you have a twitter page for your site and with followers. Motivation makes you to promote much better way. Moreover, you the benefit lies in the fact that you can make friends easily in twitter all over the world. This will help you increase the rate of people viewing your blog if you are a blogger. It is a real help of making relationships and sharing ideas. Pinterest is one of the fast emerging online social networking media. Pinterest is an online pinboard where users can "pin" images, clips of they wish. Pinterest also can help you in developing your business. You can develop ads for your business and pinning here helps you get more users attracted to your site and also your brand. Integrate Pinterest share button to your blog. Research for what your ideas and what the users are interested in pinning. Pin the ads and the things that will make users attract to your blog. Use of infographics can make your level of pinning reach the people. The thing that you have to remember is that make your pinning match to your business profile. As it suits, more users will get attracted to your site. Use it to interact with the users and make them reach your ideas. Pin daily as you are blogging. This will reach most of the users all over the world. It will do a good work for your promotion of your business. Digg- What the internet is talking about right now. Digg is one of the online social news website. It is mainly designed for all kinds of news, reviews, and everything that are to be popular. It is a much of a promotion tool as it has most online users in a wide range. Digg provides all kind of reviews about various range of brands. Businesses can be widely promoted through this Digg. People read reviews and it will be a great chance of increasing your business level. Bloggers can also use this Digg as a promotion tool as it attracts various kinds of users all over the world. It will be a nice option to use it as a tool for promotion. 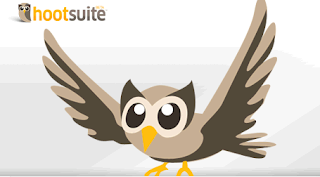 Hootsuite is a very effective tool for the promotion of your business. It is a social media management tool. It can be of great use to your business. It is a twitter management tool. It is easy to sign up and it with the RSS Feed of your site, it creates automatic tweets even with out your help and posts online about it to all the social media pages that you have synchronized. Hootsuite is a good management tool for your business. It promotes your business even if you are not able to do it by yourself online. All you need is to create an account and synchronize with all your pages and it will do its work. This a quite awesome tool for your business. Go on and try it now. It is not that only with these social networks you can promote your business. Anything that is much interactive with the users makes you promote your business as well with the world. This are great discussion of ideas and information.. It helps me a lot. This is a great discussion. I agree with you.